In our 35 years in the Event Production field, Audio Visual One LLC has worked with dozens of Fortune 500 companies to plan amazing corporate meetings, trade shows, conventions and a variety of other events. Today, we are working with the latest technology to ensure our clients’ events run seamlessly and without interruption. Contact an AV1 representative today to discuss the production of your next corporate event. Audio Visual One LLC understands the importance of running a seamless corporate meeting. That’s why our inventory contains state-of-the-art equipment and technology to ensure your meeting has no hiccups. We keep additional equipment on-site to satisfy any last minute requests or orders you may have. Audio Visual One LLC recognizes how vital the tradeshow industry is for businesses looking to build long-lasting relationships. For years, we have enjoyed taking care of exhibitor’s needs on a national scale in a timely and professional manner. Our extensive inventory of video, sound, lighting, and staging equipment will enhance your tradeshow booth and meet any specifications you might have. Audio Visual One LLC knows how effective webcasting is as a platform for corporate events. 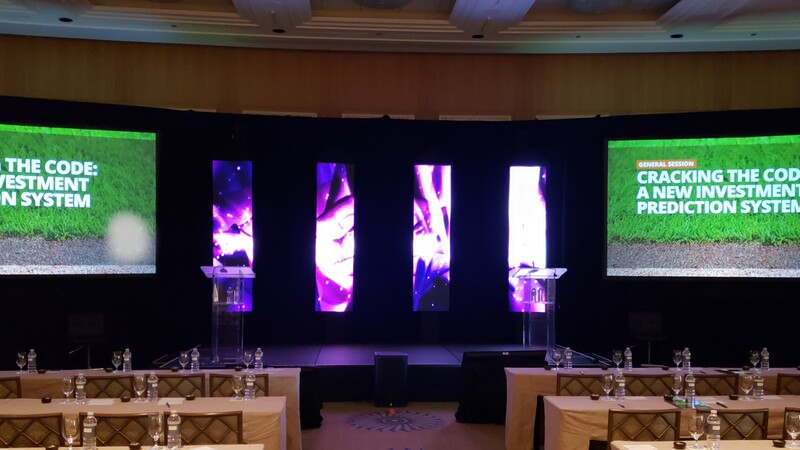 Our technicians will help you create an interactive experience for your event using our cutting-edge technology. We build compelling webcasts that can be broadcasted to any device. Count on us for a reliable platform to deliver your message. For over 30 years, Audio Visual One LLC has been servicing the convention and tradeshow industry on a national level. This abundance of first-hand experience and knowledge is valuable and ensures that your next convention will run smoothly. Think of us for your next pre-conference and post-conference consultation convention. No matter what size event, Audio Visual One LLC will take care of the details. We guarantee a seamless event from planning to execution. Let us help you design an event that’s sure to leave an impression!